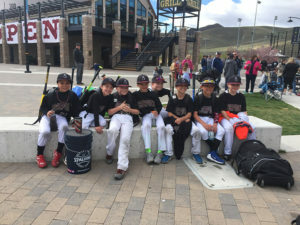 Beginning this month, the National Youth Baseball Championships will select one travel ball program to feature as its Organization of the Month. The goal is to take an in-depth look into organizations around the country to understand what makes them unique and successful. 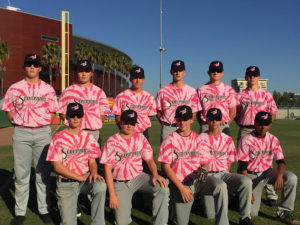 The Scorpions Baseball Academy starts us off as the NYBC Organization of the Month for November 2017. Based out of Reno, Nevada, the Scorpions have become a major player in the west with teams in 7U-18U. 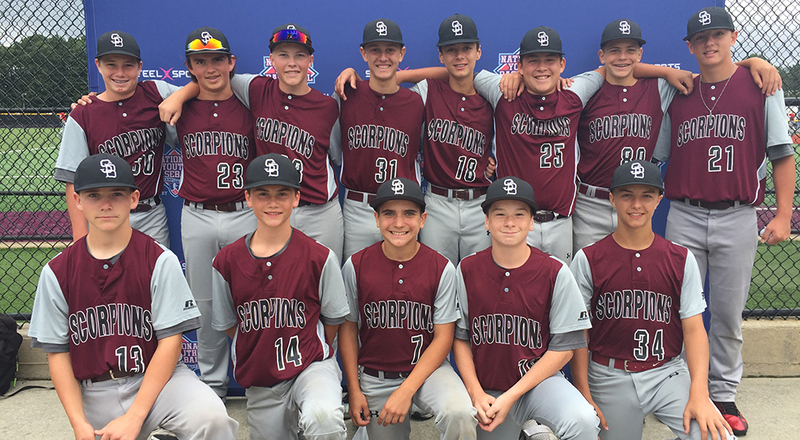 The 13U Scorpions qualified last spring for the 2017 NYBC and made the trip to New York where they went all the way to the semifinals. 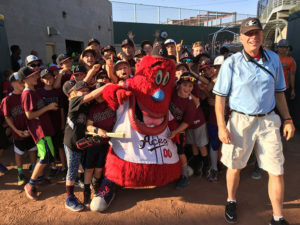 We caught up with Scorpions Baseball Academy President/Owner Pat Flury to take us behind the scenes and share what it’s like to be a Scorpion. NYBC: Give us some background of how the Scorpions Baseball Academy got started, the mission behind what you’re doing and the current status of your program. Pat Flury: The Scorpions organization started out with three 9U players. Four months later, we opened up a building and issued ourselves with several time bound goals. We held ourselves accountable and hit every single goal. Some of those benchmarks were about the number of players and teams. Others were about equipment and technology. Within two years, we were the largest academy in the state. It doesn’t end there for us either. When we’ve hit our marks, we just keep adding new marks and experiences for our players. One of those was our trip to New York and qualifying for the NYBC in 2017. Our overall mission is to develop players for the next level (whatever their goals are), help them to have some poise under pressure and to teach them enough about this game to help them create memories and experiences. More specifically, we want to be a program that everyone is proud of and that is thought highly of on a national scale. Our current status includes having 23 teams seasonally ranging from ages 7 to 18. We have a stable of educated and motivated coaches. We’ve created separation from others in our market by having a very professional coaching staff. From top to bottom our coaching staff has real experience from coaching in high school, university and at national team and Olympic qualifying levels. In addition our coaches have had both professional and collegiate playing experience too. Our equipment goes beyond what any program near us uses and we take advantage of cutting edge methods, technology and maximize our practice time. Our sessions are amped with a well above average energy level and atmosphere. NYBC: What does it mean to be a Scorpions Baseball player? What type of character do your players have? PF: First rule of a Scorpion is to never give up. This allows us to always be competing and driven. In just a short time we’ve had many come from behind victories and have come from the low depths of pool play to battle through to finals. We truly have a battle cry of “you gotta battle” and our players love that approach. We live for the come from behind victories and upsets. Our guys want to be there and you can’t ever write us off. We have a range of characters. We have plenty of laughs but we also maintain our competitive drive and keep our eyes on the prize. There’s a very typical range of personalities for kids in these age groups. We don’t cookie cut them to fit a style of play. Rather, we are aggressive in letting them reach their personal potential and encourage them to reach their own skill ceiling. In short, we don’t have any one “type” of player, we have a huge range of kids with their own personalities and skill sets. If there is a common ground they all share it is that they will battle and handle adversity. NYBC: What are some of the goals your teams have for the 2018 season? PF: Naturally we want to have a strong level of competitiveness within all of our teams. We want to watch all of our athletes continue to be better baseball players. We have been very consistent as an organization that if we have an age group that struggles, they will find their way if they follow the rules. Ultimately you have to do two out of three between playing catch, throwing strikes and putting the ball in play. Through the players’ and coaches’ hard work, we want to continue to find a combination for them as ball players and as a team to have success. We’d love to find our way back to New York for two of our age groups and start expanding to further regions. Already we’ve forged ahead including in Carson City, Nevada and in San Francisco to reach our lofty goals for 2018. NYBC: Looking into the crystal ball, where do you see the Scorpions Baseball Academy five years down the road? PF: We would love to have expanded to two other states, compete on a national level at all of our age groups and to keep improving through utilizing cutting edge technology. 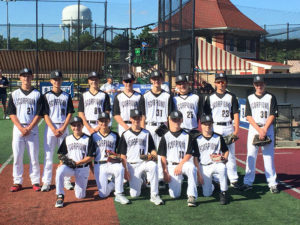 NYBC: Your 13U team qualified and participated in the 2017 NYBC. What made you want to be a part of the NYBC and take your team all the way across country from Reno to New York? PF: We wanted to hit the ground running in 2017. That included giving our athletes an experience they would never forget and to compete against some of the best players in the country. We looked at the NYBC qualifying tournament the year before with our 12U team having just missed out and thought we’d raise the bar for them. That same team flew the flag for our organization and won out against brutally good competition to win three straight games. They didn’t do it the easy way, but they weathered the adversity storm and didn’t give up. Ultimately, because they didn’t give up and battled they had an experience none of them would ever forget. Scorpion mission accomplished. Its a great time to be a Scorpion! To learn more about the Scorpions Baseball Academy, go to ScorpionsBaseballAcademy.com or find them on Facebook. If your program wants to be featured as a future NYBC Organization of the Month, e-mail us at info@nybcbaseball.com.